Talk about fantasy baseball! Yes muscleman Gabe Kapler is a little on the short side at 6'2" but who would question including him on this site? First off all he's far more muscular than most baseball players and loves showing off his hunkatude in bodybuilding magazines like Exercise for Men Only. Hey what's with magazines like that? If a woman reads it will her muscles explode? Gabe has played for four MLB and one Japanese teams, made lots of money and, along with his beautiful, educated wife Judy, started a foundation for abused women. Hellooo Alpha Male! Kapler is Jewish, and to honor his heritage, has a Star of David tattooed on his left calf, with the inscription "Strong Willed, Strong Minded" in Hebrew, and the post-Holocaust motto "Never Again" with a flame and the dates of the Holocaust on his right calf. He describes his background as "culturally Jewish. ... I was�and am�proud of my heritage, but don't practice religion." Kapler has been given the nickname Hebrew Hammer due to his frequent longball hits, along with his muscularity and the fact that he is Jewish. It later became the nickname of Ryan Braun, who is also Jewish, and was Kapler's teammate on the Brewers. On September 27, 1999, the Tigers commemorated the closing of Tiger Stadium by wearing the numbers of greats from the organization's history. Kapler's jersey was blank, an homage to Ty Cobb, who competed before players received numbers. This was ironic, as Cobb was a notorious anti-Semite. On August 8, 2005, while playing for the Red Sox, Kapler took the field in the 9th inning along with Kevin Youkilis and Adam Stern, setting a "record" for the most Jewish players on the field at one time in American League history and the most in Major League Baseball history since four Jews took the field for the New York Giants in a game in 1941. In 2008, with his career 69th home run he passed Art Shamsky and Lou Boudreau for 9th on the all-time list for home runs by Jewish major leaguers. Kapler was the unanimous winner of the 2008 Jewish Comeback Player of the Year award. Through 2010, he was 10th all-time in career home runs among Jewish major league baseball players. Kapler played for the Taft High School baseball team, and graduated in 1993. He attended Cal State-Fullerton in 1994 on scholarship, before transferring to 2-year Moorpark College in 1995. He was named 1st team All-Western Conference after hitting .337 with 7 homers and 52 RBIs. Kapler was inducted into the Moorpark College Athletic Hall of Fame in 2008. Kapler is an avid weightlifter. He was on the cover of several fitness magazines and became renowned for being the focus of an entire K-Swiss shoe campaign before he had even reached the pros. In the summer of 2013, Kapler became an analyst for Fox Sports 1 cable network. He has appeared frequently on the network's Fox Sports Live program since the network debuted on August 17, 2013 as well as MLB Whiparound since the program's inception in March 2014. Two of his segments are "Saberclips", where he explains advanced statistics and sabermetrics used in baseball, and also "In the Cage", where he gives out advice for young baseball players what to train for when they hit the batting cage. Kapler was born in Hollywood, California. Kapler and his wife, Lisa (Jansen), have two sons, Chase Ty and Dane Rio. 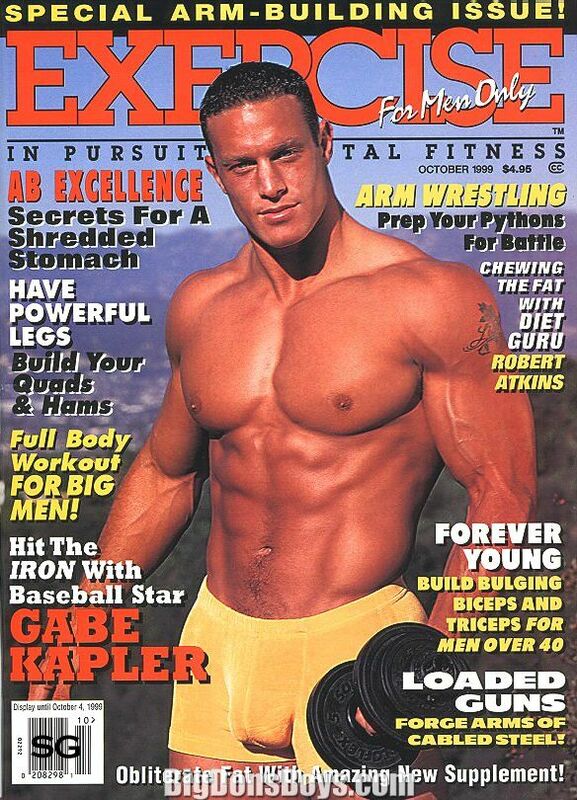 Kapler is well known in baseball for his extraordinary musculature. Bob Ryan once wrote a column in which he nicknamed Kapler "The Body," and mused on the fact that, traditionally, bodybuilder-type physiques have not been considered desirable for baseball players (as speed and reflexes are more important than muscle). In a clubhouse poll, it was once revealed that of the 25 players on the Red Sox, 24 were Republicans and Kapler was the one Democrat.] Kapler has 11 tattoos, mostly on his legs, and his wife's name on his left shoulder, and also a star on his left ring finger. Kapler filed for divorce from his wife of fourteen years in October 2013. Rays rightfielder Gabe Kapler talks about facing Mariners lefty Cliff Lee and knocking in the go-ahead run Sunday in the eighth with a sacrifice fly to left.